says "Boomerang is a Tamil movie starring Atharvaa Murali in a prominent role. 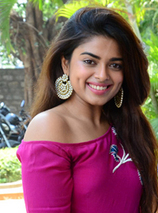 The cast also includes Megha Akash, RJ Balaji, Upen Patel and Suhasini Maniratnam. It is a drama directed by R Kannan"
to get instant updates about 'Boomerang' on your MyPage. Meet other similar minded people. Its Free!